Experience – Picture Perfect Handyman provides pressure washing services to clean your home's driveway, sidewalk, patio, deck, pool deck, fence and shed. They have the experience, skills and tools necessary to thoroughly clean the exterior areas of your home by emitting pressured water to remove dirt from hard surface areas. They use no toxic chemicals that might run down storm drains, into the streets, or onto your lawn. If your driveway is dingy, or full of mold, stains and mildew, Picture Perfect Handyman can provide qualified pressure washing services to clean it thoroughly. They can remove dust, dirt, grime, grease, paint, and most any type of build up from concrete, brick, stone, flagstone and other hard surfaces. 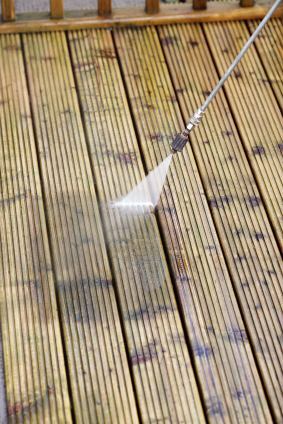 Affordably Priced – Picture Perfect Handyman offers premium pressure washing services at reasonably, affordable prices. They stand behind their work, and provide a satisfaction guarantee. They will go the extra mile, to perform the job according to your standards. Next time you need professional pressure washing services, consider Picture Perfect Handyman to remove all debris, stains, paints, dirt, mold, mildew and contaminants from your exterior hard services. Call Picture Perfect Handyman at (661) 457-5991, to receive your free estimate, and find out exactly how much money you can save cleaning the exterior of your home.